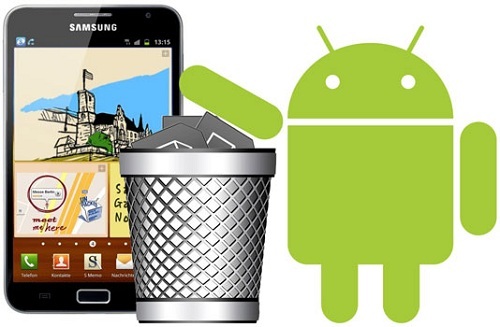 Whenever we buy a new android phone it usually comes with many bundled apps most of them are either useful or useless and you don’t use them much. Not only that there are other bloatwares also that you will never ever use. The bloatwares just cause your device to slow down and also eats up useful memory which you could use for storing useful stuff. The worst about bloatware is that you can’t even remove them. Now thanks to an XDA developer member goddamnit has developed a way with which you can remove those useless apps from your Galaxy Note and reclaim those used space for your personal needs. With his way you can now get rid of those useless junk. How did he do it? Well he developed a Lite-ROM creator which generates a script of all the built-in apps in your device and you can just select the apps from the list which the app has generated instead of selecting one by one. As a result you can remove those useless apps and also increase your battery life. The only downside of this Lite-ROM is that it is only designed to work in windows. So if you are on some other platform then you have to wait for other versions to be released. So we have prepared a guide which will allow you to use Lite-ROM and remove the useless apps or bloatwares. Once you have followed the requirements now we move on to the process of how to remove the bloatwares from your Galaxy Note. If your device isn’t rooted then root your device. If you have followed our guide then you have removed all those bloatwares from your device successfully. Do let us know if you come across some other way through which you can remove the bloatwares.